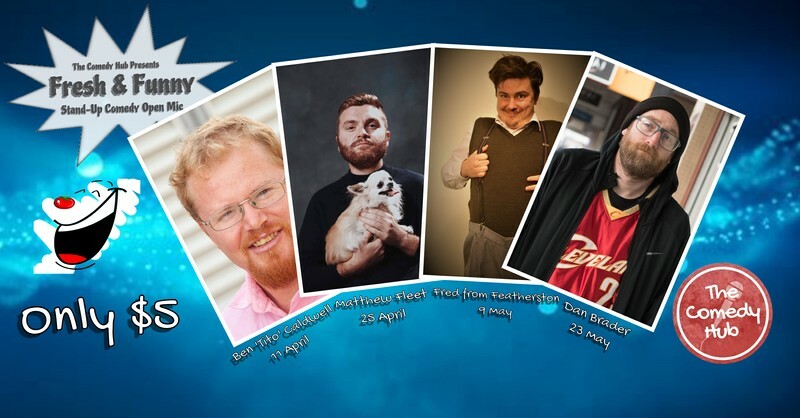 Fresh & Funny is the new name of Palmerston North's premier stand-up comedy open mic. Get yourself along and check out this comedic sandpit where local comedians get up to test out their new material. Every fortnight this gig is hosted by one of a roster of top local comedians as well as some of the funniest faces from around New Zealand. If you fancy getting up and giving it a go either message the Comedy Hub via Facebook, email comedyinpalmy@gmail.com, or just turn up on the night and ask for Nathan. Only $5 entry fee (or koha with a valid student ID) and drinks promos available all night.